I guess you’ll agree: having no cables or wires is always a great thing, without them you are truly set free and have nothing holding you back. With wireless earbuds, you can forget all those quests for unravelling the headphone cords and not to mention you can also place your sound source device where it’s convenient for you, not the wires. When it comes to sports, walking tours or any other outdoor activities, wireless headphones become a “must-have” item. So, if you need earphones for sports activities while travelling, or if you just don’t like all those entangled wires and you want to feel truly “free” – then wireless earbuds are definitely your best choice. Though choosing the best wireless earbuds is not always an easy task. Firstly, because of all the different models and brands out there (and not all of them are good enough to even be mentioned). Add to this a variety of requirements for sound quality, different ear structures, personal priorities (price, design, battery life, brand, sound preferences, weight, size and so on) and you’ve got the idea. So we’ve done our best to cover all the best earbuds without wares for different purposes and under various categories. Let’s see together what the market has to offer today. Below you will find the best wireless in-ear headphones you can buy to date. Founded in 2006, Jaybird is a company that is now owned by Logitech and based in Utah. Wireless Bluetooth sports headphones are their most popular products, and therefore you can probably guess that its line of wireless products is of high-quality. 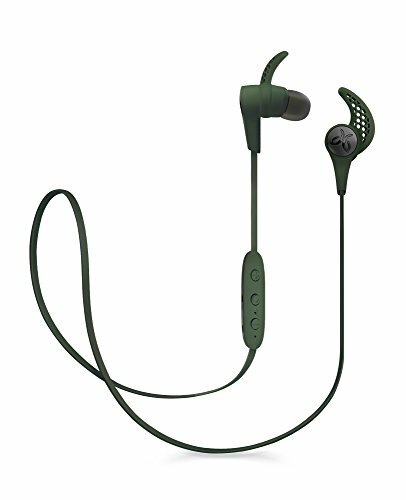 X3 is the third generation of Jaybird’s wireless earbuds, in comparison with the previous X2 model, the company has achieved to make them smaller, improve the sound quality and increase battery life. Combined with the new design the X3’s are not only a step up but look even better than before. The plastic the X3 model is made from is nicer to the touch as well as being sturdier looking than the X2 plastic. Jaybird has also redesigned the Bluetooth antenna in order to increase the sustainability of the signal. The battery of these headphones will provide the user with up to 8 hours of use on a full charge and takes about 20 minutes of charging to get one hour of playtime. Most wireless earbuds have a secure fit but in this model, Jaybird made them even more, well… secure. The silicone ear fins are tightly fixed at the top and bottom of the ear surface, this ensures reliable fastening during workouts, running and any other intensive activities. The buds are also sweat-proof thanks to their hydrophobic nano coating. In fact, these earbuds were designed in the first place for sports and workouts. The control and microphone module is a little bit bigger than the X2, but it’s still pretty comfortable to use and looks stylish. The only serious problem, or to be more precise, only serious inconvenience, you may face with the X3 is its charger. Unfortunately, you can’t use a standard micro USB connector for charging, instead, you have to use Jaybird’s original adapter. Keep in mind, these headphones are not actively noise-cancelling. However, due to their good fit and a noise-isolating design, the sound is pretty clean and nothing will seriously disturb you while listening. Unfortunately, the X3 doesn’t have a true water resistant standard. Though, as I mentioned above, they are sweat-proof and you’ll hardly experience any issues unless you run a test with heavy rain or dive with them (this is a joke of course, but really – don’t do it). Jaybird’s MySound App allows customizing presets and equalizer settings. Once you’ve set up your personal settings (or choose one of the built-in presets), they will be saved directly in your X3 earbuds, so the sound setting remains the same regardless of which device you pair and use as the sound source. The app has a handy “share” option where you can connect your friend’s X3 earbuds to your device and you can listen to the same music together. Along with this, you have a “Multipoint” option that allows you to connect the earbuds with multiple Bluetooth devices. For example, you can listen to the music or audiobook from your tablet and make a call from a cell phone at the same time. The app also allows syncing the playlist to your smartwatch so you can use the earbuds without even a phone with you. Note, however, that not all smartwatches can support this feature. And, of course, with MySound App you are able to monitor your battery level. JLab’s Epic 2 earbuds have a truly incredible battery life with up to 12 hours of playtime (of course, this depends on your settings and volume), which is the best result in its class. The battery indicator on the device can prove to be very helpful and keeps you informed of the current level. There is also a reminder function which periodically tells you the remaining battery level while listening. The headphones have an IPX5 water resistance rating which means that it’s protected against water jets, so you shouldn’t worry about rain, sweat and water. You can even rinse them off after a workout. Beacon Signal technology, aptX compatibility and Bluetooth 4.0 are all features that allow for stable pairing and high-quality sound. The Bluetooth antenna was also improved in order to achieve an even more reliable signal. The Epic 2 is available in three different colours: black, blue/ grey and teal. They also come with 8 sets of silicone gel tips of different sizes. Such a variation may be useful for someone who has an extraordinary ear’s structure. A three-button controller includes a microphone and allows you to turn on/off the headphones or answer and end calls with a click of the middle button. Considering the sound quality, water resistance rating, impressive battery life, secure fit and reasonable price, I can confidently call the Epic 2 earbuds the best for sports and outdoor activities. The headphones deliver a really deep, rich bass (which is pretty cool for sport earbuds, isn’t it?) with decent mids and highs. The sound is provided via 8mm drivers which are, according to JLab, up to 50% larger than Epic 2’s competition. Perhaps in some songs, you can find that the high-mids might not sound fantastic when compared to all the other wireless earbuds but since Epic 2 is designed primarily for sports, you won’t complain about the sound, especially since it’s really powerful and clean with well-defined frequencies. BeatsX is the model which came after the Beats by Dre’s (which is now owned by Apple) company product – Powerbeats 3. And even though Powerbeats 3 were decent headphones, the new BeatsX are even more comfortable and deliver a solid sound experience. The BeatsX is the first true new model (not a continuation of the previous line like Powerbeats3 was, for example) created by Beats since their acquisition by Apple. Therefore we can reasonably guess that Apple’s engineers participated in the development as well as the Beats team. With up to 8 hours of playtime, the battery in BeatsX is not the best amongst all the other earbuds in its class but, it’s still quite a decent level, especially taking into account the compact size of the headphones. The Fast Fuel mode allows charging the earbuds within 5 minutes for 2 hours of playback – which is great. BeatsX uses new Apple W1 technology. In a nutshell, the W1 chip provides simplified pairing with all iOS devices and improves battery life. Of course, W1 chip headphones work not only with Apple devices but with any that supports Bluetooth, though all the chips advantages are available only when used with iOS. Note: for simultaneous connection with different Apple devices (Apple Watch, Mac, iPad and iPhone), Apple W1 chip requires iOS 10, macOS Sierra or watchOS 3 and iCloud account. The earbuds are magnetic and, when you’re not using them, you can connect them to each other for more comfortable wearing. BeatsX charge with a Lightning cable – not with a MicroUSB. It’s certainly great for Apple users, but may not be so good for Android device owners especially when they might have become accustomed to using one cable for multiple devices. 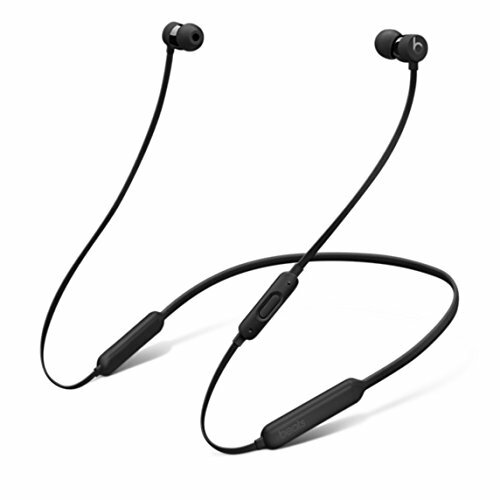 With a price tag of around $150, they are not the cheapest wireless headphones, but BeatsX is the cheapest wireless model made by Beats, and considering the quality and benefits they offer (such as W1 technology), I can say it’s an affordable price. Like other Beats headphones, BeatsX has a deep, rich bass, the volume level is awesome, and thanks to its good noise isolation you can clearly hear all frequencies. Even though I can’t say that the sound is great, in my opinion, these headphones deliver sound quality as good as in-ear headphones should sound. BE6i is the evolution of the previous wireless earbuds, NuForce BE6, created by Optoma Corporation. Before talking about the new model, I should mention that the predecessor (BE6) received great feedback and was mentioned as being the “recommended” Bluetooth headphones in some authoritative media such as GadgetSpeak.com, the Daily Mirror, Techradar.com and Digitaltrends.com. Firstly, the battery life has been increased to 8 hours of playback. Secondly, the water-resistance level has been improved; the earbuds are now IPX5 certified which makes them even more protected from sweat and rain. Also, thanks to the fact that they are made of aluminium (same as the BE6), they are lightweight and look even more stylish. Of course, the sound quality was also improved, which I will cover in more detail further in the article. Talking about the design, the earbuds are available in grey and gold colours, and as I mentioned above, they are crafted from aluminium. There are six sets of ear tips in the box: 4 pairs of silicone tips with different sizes and 2 pairs of soft foam tips with heat activated memory which was designed to improve noise isolation and give more of a secure fit in the ear canal. The BE6i earbuds are magnetic so you can secure them around your neck when they are not used. The BE6i headphones feature aptX and AAC compatibility and use Bluetooth 4.1. In combination, all these technologies provide better sound quality, more stability, lossless connection and wider range. The model also contains new 10mm large drivers which help to deliver distortion-free sound even at high volume levels. First thing I would like to mention here is that the NuForce BE6i is really loud and thanks to their 10mm drivers, they still provide clear sound at the highest volume. As my little investigation shows, the NuForce line is known for its powerful low end sounds so it’s not surprising that BE6i delivers great low bass. Unfortunately, their mids and highs are not as great as their lows, but the overall sound picture is still pretty nice in my opinion. The Bose SoundSport Wireless earbuds are the Bose Company’s first wireless sports headphones. 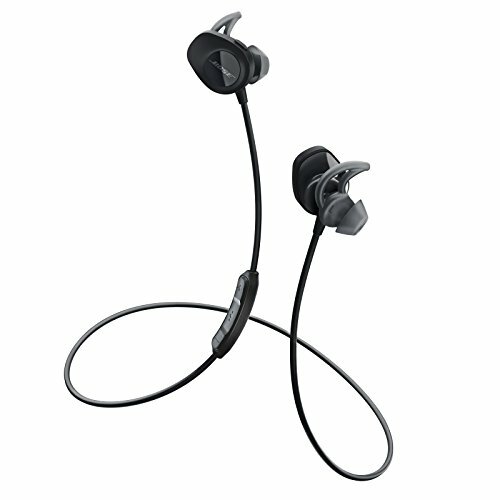 Their original wired SoundSport model has received many positive reviews but let’s look at the wireless version in more detail. 1) Their ability to be securely fastened. 2) Their protection from dust and moisture. Please note that I don’t mean it should be mandatory of having an IPXX certificate, but a simple ability to withstand sweat, dust and any accidental moisture or drops of water that a person may encounter during training. Of course, the sound quality, lossless pairing and battery playtime are very important too. But in my opinion, the two above mentioned points are the most important when it comes to sports headphones. SoundSport Wireless headphones come with three sizes of tips. It’s branded StayHear+ Sport tips are designed to securely stay in the user’s ears. The earbuds don’t have a noise-isolation design, they are an open type but sit tightly in the ears due to the shape of the tip. I haven’t found any information about any official IP water & dust resistance certificate for these earbuds (edit: found a mention of IPX4 certificate in WhatHiFi review, but still didn’t see any information from manufacturer). However, the manufacturer, as well as many users, affirm that they are sweat resistant, they are covered with hydrophobic cloth which helps to resist sweat and weather. I also found information that some of the first users faced damage issues because of sweat, but later this issue was fixed by Bose with upgraded versions and they replaced damaged headphones for free. SoundSport Wireless earbuds support NFC technology, which is used here to simplify Bluetooth pairing. It works this way: when you place a device with enabled NFC near the inline remote, it pairs headphones to the device via Bluetooth. Then when you place the device near the remote for the second time it will disconnect the earbuds. Pretty convenient, in my opinion. I only see two obvious downsides in these Bose earbuds; they are bulky (though they are lightweight at the same time) and the battery provides only up to 6 hours of playtime which is short compared to the other headphones in this list. While you are working out, you want your earbuds to stay in whilst remaining comfortable – these earbuds are designed for this exact purpose. They even have an extended flexible wing which provides further stability and support, combined with them being both sweat and weather resistant they are the perfect headphone for any budding athlete. Sound quality has the potential to be the biggest difference between wired and wireless Bose SoundSport, but fortunately there is not that much difference. This is an issue not only for Bose and its SoundSport model but in general for all Bluetooth headphones, to achieve sound quality equal to wired headphones is obviously a difficult task. This being said I think Bose paid intensive attention to sound quality as they usually do. Bose has always been one of the giants when it comes to sound quality and these headphones do not disappoint. These earbuds can provide a great bass and a pretty decent mid-range. There is no distortion with these earbuds, only crisp clean sound. It’s nice to know that Bose has retained the performance they are famous for, and with Bose active EQ you are guaranteed high-quality audio that is balanced at any volume. I definitely can’t say that wireless SoundSport’s sound is the best of all the Bluetooth in-ear headphones considered in this article. However, we don’t have to forget they are sports headphones and, keeping that in mind, I can say that their sound is really good, I would even be willing to say great. A powerful bass, but the mids and highs are not forgotten. The overall sound gives a wide range without cycling at any specific frequencies. Nice to admit that Bose retained the quality inherent in the brand in its first wireless headphones. If you want something a little more then there is also the SoundSport Pulse Wireless model available, this is a version of the SoundSport with a built-in heart rate sensor. They come with StayHear+ Pulse tips that measure the pulse and also provide a secure fit to make workouts comfortable. Heart rate data can be monitored in real time via Bose Connect app. The Pulse also can be synchronized with many popular fitness apps like Runtastic, MapMyRun, Endomondo, Runkeeper and more. SoundSport Pulse Wireless earbuds cost $50 more than original SoundSport Wireless model. Also because of the additional sensor used in this model, the official battery life of the Pulse Wireless is down to 5 hours vs the 6-hour life in the original SoundSport Wireless earbuds. Sony is a company that surely needs no introduction. They produce such a wide range of products that it’s almost impossible to find someone who has never heard of them, and in my personal experience, when Sony creates something they do it dignifiedly. Their SBH80 Bluetooth earbuds are no exception. The SBH80 was designed for daily use in different situations. 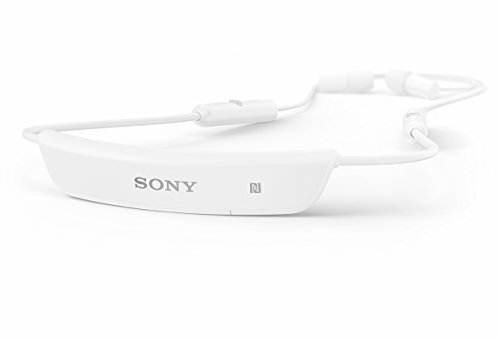 Sony describes their design as “discreet” but I’d rather say they are minimalist, they are the embodiment of the “beauty of simplicity” concept. Just look at them, they were created back in 2014, but still look modern and stylish (though, it’s a subjective opinion of course). 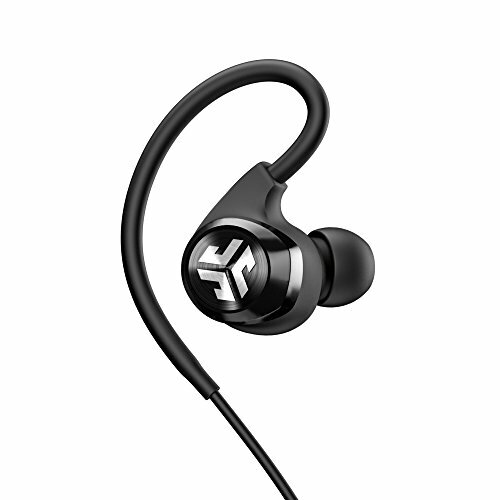 The earbuds are good when used for sports too, they are water and sweat resistant, but without an official IP certificate. The earbuds are light and comfortable, and the rear unit is designed in such a way that it remains practically motionless on the neck while running or working out. SBH80 uses aptX technology to deliver a lossless wireless sound with high quality. The model has two microphones on both strips so no matter how you turn your head while speaking, your interlocutor will hear your voice clearly. The SBH80 also supports the HD voice technology which eliminates background noises and delivers your voice even more accurately. NFC helps to connect the SBH80 to a smartphone. It’s done by touching the NFC device to the main unit after this is done the pairing will start automatically. The SBH80 headphones deliver deep bass and solid, clear highs at the same time. Thanks to their noise-cancelling design, you can truly hear all the range of frequencies. For best sound experience I personally recommend to use them with aptX compatible devices, this is true not only for Sony and SBH80 but for any headphones that support aptX audio codec. Advanced Sound is a new company who’s on a mission to create products that bring great sound experience at affordable prices. What is remarkable in these Model 3 earphones in comparison with all the others headphones reviewed here is that they are wireless and wired at the same time – they are the first convertible wireless earbuds in the world. With the detachable MMCX connection, you can use them wirelessly with an around the neck cable which includes Bluetooth and inline remote with built-in microphone & battery. You can also connect a regular 3.5mm audio cable instead of a wireless one and use the Model 3 as normal wired earbuds, both cables are included in the standard package. The battery in the wireless cable provides up to 5 hours of playtime and takes 1.5 hours to achieve a full charge. Five hours of listening is nothing exciting for sure but having the opportunity of switching between wireless and wired cables – for example, when the battery is discharged, is really cool. The Model 3 supports a number of technologies that maximize sound quality and streaming including; DSP technology (Digital Signal Processing), aptX and AAC codecs. I’ve already mentioned these features earlier but they do really help to bring the overall audio performance to the next level. Previous products by Advanced Sound received many positive reviews, but I believe the company did their best to make Model 3 earbuds outstanding. In my opinion, they are the best of all Advanced Sound’s creations up to this date. These Bluetooth earphones have a reliable fit, are beautifully designed, sound fantastic and can be used as wired earbuds. Add to this a price tag of less than $100 and we have some truly great wireless in-ear headphones that can easily compete with the more famous brands whose models are usually 50 – 100% more expensive. Adv.Sound Model 3 is officially Hi-Res audio certified which means that the earphones are able to produce frequency over 40kHz and deliver high-resolution audio at 96kHz/24-bit. All of the above-mentioned technologies that are supported by the Model 3 (DSP, aptX and AAC) play their role and complement the overall sound picture and for the most part, song lows, mids and highs sound balanced and “warmly”. “You can’t control how noisy your environment is. But you can control how much of it you hear” – these are the words that start the official description of the new QuietControl 30 by Bose. These Bluetooth earbuds are actively noise-cancelling and let you control how much external sounds should be blocked out. They are expensive, but it’s Bose brand after all and this model attracts attention already with its chic design – so let’s see what’s inside. 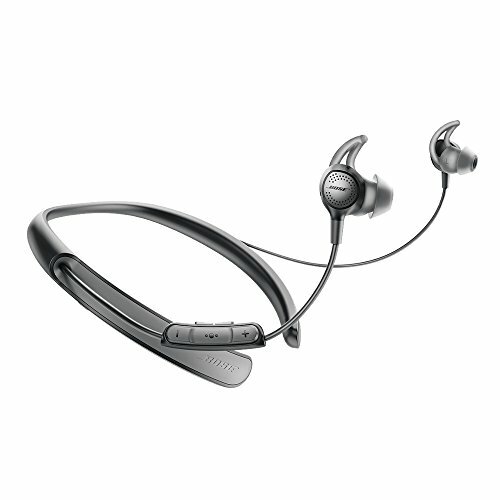 QuietControl 30 have a neckband design which was initially popularized by LG with their Tone series. Inside the collar is a Bluetooth module and noise-cancelling components, however, the weight is optimal so it’s very comfortable to wear. On the back of the neckband are two LED indicators for the battery and Bluetooth status along with one button which is used to switch the earphones on/off and for Bluetooth pairing. In addition to the standard multi-function (play/pause/skipping tracks/Siri or Google Now activation) and volume buttons, the inline remote has two extra buttons which allow adjusting to the level of noise cancellation. For example, when you are running or riding a bicycle you can reduce or completely turn off the noise cancelling to hear ambient traffic. The adjustment can also be made via the Bose Connect app. Unlike some others neckband-style earphones, the QuietControl 30 doesn’t have an option to connect with a standard 3.5mm audio cable – they are completely wireless. Battery playtime is pretty impressive 10 hours with less than 3 hours of charging. The QC 30 supports NFC for simplified Bluetooth pairing with NFC-compatible devices. There are 3 sizes of StayHear+ ear tips in the package which also help to add passive noise reduction. They sit securely so it’s convenient to use the QC 30 for sports as well as for daily use. The QuietControl 30’s sound is similar to the SoundSport Wireless model which I’ve described above. Since we’re talking about Bose it’s not surprising that special attention is paid to the lower frequencies in QC 30, but it doesn’t prevent the ability to clearly distinguish mids and highs as well – the overall sound is balanced and good detailed. As for the active noise cancellation function, it’s definitely good but not as strong as in the previous wired QC 20 model. However, for daily use and for the vast majority of situations it’s more than enough and the QC 30 is one of the best ANC in-ear wireless headphones available at the moment. The possibility of noise reduction level adjustment is a great and useful feature too. 1) Need active noise-canceling wireless earbuds with great design by a famous brand. 2) Are looking for the most powerful noise cancellation amongst all the headphones. I would only think of buying the QuietControl 30 if both of the above points are true for you. Otherwise, there are other models that will suit you and that will cost less. LG is a trendsetter for neckband-style headphones. When they first released their Tone series these type of earphones quickly became very popular. The LG Tone Infinim HBS-910 is the 2016 model which in my opinion remains the best in the series, considering that its successor HBS-1100 headphones are currently almost twice as expensive as the HBS-910. Like all the Tone series’ earphones, the HBS-910’s also have a neckband design with a nice lightweight collar. Their size is comfortable to wear, however, this may depend on the size of the users’ neck. The neckband contains all the electronics, the battery and also has a retraction feature which allows you to hide the cable and earbuds inside when you’re not using them. The audio of the HBS-910 is powered by Harman Kardon Signature Sound, which provides high-quality sound and is also enhanced with aptX codec. Battery life is solid with 10.5 hours’ worth of music listening on less than 2 hours of charging. The neckband has a vibrating function that informs you about incoming calls or if you have moved too far away from the connected device. There are standard control buttons on the collar as well as the buttons for hiding the retractable cords. The earbuds are magnetic so they can also be interconnected while not in use. 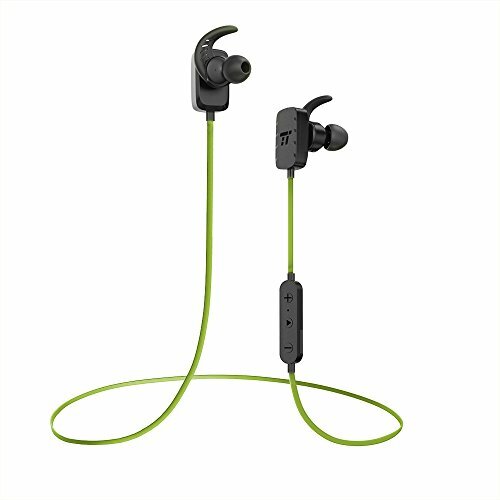 These earphones are not recommended for use during sports and activities where they can be exposed to sweat or water as they are not water-resistant. However, you can definitely wear them during “no-sweat” workouts. With properly selected ear tips the Infinim HBS-910 delivers accurate and clear sound with a slight emphasis on bass. Harman Kardon and aptX do their job well too and when used in combination the sound quality is much higher than the average Bluetooth headphone, though it isn’t the best. The TaoTronics Company was founded in 2008, it specializes in small electronics and accessories. Their Bluetooth earbuds are budget models with a cost less than $50, but built with high quality and worthily competing with many more expensive earphones. This latest version has already received thousands of positive reviews, as have its predecessors TT-BH06 and TT-BH07U. So let’s take a closer look at this company’s new creation. 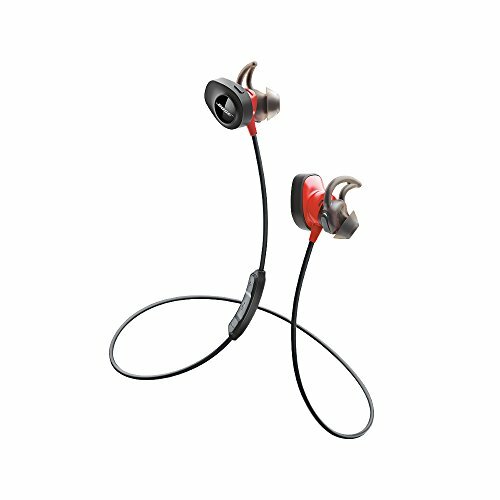 Similarly to the previous models of this series, TaoTronics TT-BH16 are created primarily for working out and sports. The earbuds fit snugly and securely stay in your ears during running or exercising. In the kit you will find 3 pairs of earbuds and 3 pairs of ear hooks, they are interchangeable with each other to be more comfortable and safe use in different conditions. 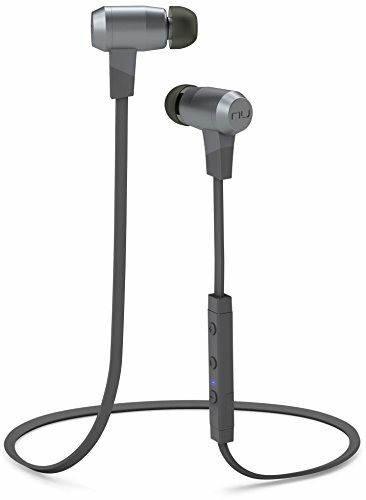 These TT-BH16 earphones are IPX5 certified which makes them more protected from dust, sweat and water. The earbuds are made of plastic, which is unsurprisingly considering that they are inexpensive, and have a simple yet beautiful design. As in many other in-ear models, the TT-BH16 have built-in magnets and can be attached together for safe wearing around the neck. The battery provides up to 7 hours of playback with about 2 hours for full charge. The model uses Bluetooth 4.1 and also supports aptX codec, it’s nice to have this technology in such budget earbuds as it which allows the user to stream the music with CD like-quality. There is a built-in mic inside the inline remote so besides listening to music, the TT-BH16’s are ideal to use for calls as well. Despite the fact that these earbuds are budget and cost significantly less than most of their competition, the sound quality is surprisingly good. In fact, the sound here is not inferior to most models by famous brands that are 3-4 times more expensive. The earbuds provide good levels of both bass and treble, and with aptX, Bluetooth 4.1 and CVC 6.0 noise cancellation technology (yes, they have this on-board too) the TT-BH16 deliver clear and lossless audio straight to your heart ears. AfterShokz Trekz earbuds work using bone conduction technology which creates mini vibrations, sending sound through the cheekbones and straight into the inner ears. As the name might tell, they are made of titanium design coated in silicon rubber. This results in a flexible and a lightweight unit. 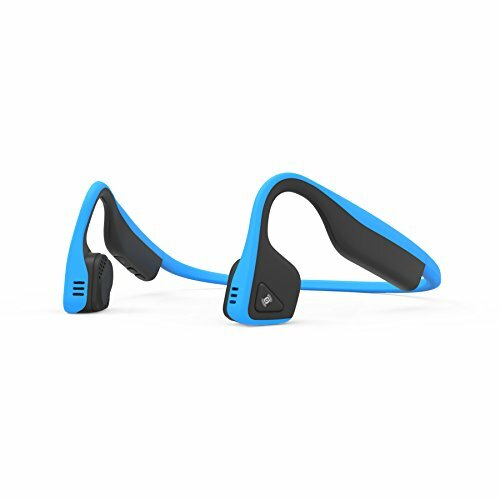 AfterShokz have really upped their game with these headphones when compared to the Bluez 2, one of their previous products, as the differences are substantial. Trekz Titanium uses PremiumPitch+, which offers a wider dynamic sound range, deeper bass as well as 50% less sound leakage. Unfortunately these headphones do still leak some sound and do not completely immerse you from the outside world which could be either a positive point or negative depending on where you are planning on using them. For example, if you plan on going jogging this would be ideal as you can still be aware of your surroundings. One of the biggest drawbacks of the Trekz Titanium is its 6-hour battery, which as mentioned before, just isn’t up to par with some of the other wireless earbuds out there. This point is very important as nobody wants to be out jogging only for their music to just suddenly stop. There are two main differences between wired and wireless (Bluetooth) headphones that should be considered before purchasing wireless ones; price and sound quality. It’s true that the price of wired headphones is lower and their sound quality can be better (depends on model, of course) simply because wireless sound delivery has its limitations due to the Bluetooth capabilities. Although the sound quality is usually better, many wireless headphones now use various technologies that help them to play sounds lossless with CD-like quality, these are; aptX codec, AAC compatibility, Bluetooth 4.1, DSP, etc. In fact, some wireless models can easily surpass their wired competitors in sound quality. Given the rapid development of technology, wireless devices are getting better year after year. Sure, if we compare two earphones that are similar in sound quality, one wired and one wireless, the wireless one, not surprisingly, will be more expensive because they have to have more complex design and equipment. Nevertheless, there are some very inexpensive models with high-quality sound, solid battery life, great fit and comfort, which cost only about $30 (e.g. such as TT-BH16 in our list). Another difference is, of course, the battery. With Bluetooth headphones you have just that one more device which you have to charge but if you forgive the need to take care of the charge, considering the average battery capacity of modern wireless headphones at 6-8 hours of playback, it’s enough for active use during the whole day. In contrast to the aforementioned downsides, there are enormous benefits that outweigh any possible shortcomings wireless headphones may have. The absence of cables their tendency to entangle comes an incredible freedom in using the headphones, especially when it comes to sports and other activities with a lot of movements. Wireless earphones are the only right solution if you want to enjoy your exercise without adjusting the cable and thinking how to better and more safely position your phone or other sound source. Wired headphones have another drawback which I’ve personally faced several times. Over time the cable bends at a point near the earbud or near the plug which leads to it failing. This resulted in me now owning 3 or 4 old wired earphones in which only one earbud still works. And if you think that I’m talking about some cheap earphones… I’m not. This has been an issue for Sennheiser, original Samsung and Sony. So I’m confident that the reason behind this issue is not in the quality of assembly, but rather in the construction of wired earbuds themselves and my wrong wearing, which in turn is facilitated by the construction. I figure it happens because I usually keep my sound source device down below in my pocket or in my hand while walking, and sometimes the cable accidentally clings to something and sharply pulls down the earpiece. Even though this problem can be prevented by being more careful, using wireless earphones solves the issue without you having to do anything. aptX – audio codec algorithm created in the late 1980s at Queen’s University Belfast and is currently owned by Qualcomm, aptX technology delivers CD-like quality audio wirelessly via Bluetooth. The sound quality is much higher than offered from the standard Bluetooth codec. While the standard Bluetooth is not able to send CD-like quality audio because of its file transfer limitations, in aptX it’s achieved by reducing the size of the audio files so they can be delivered through the wireless channel without compromising on quality. Even though the technology first appeared about 30 years ago, for many years it was only used by big broadcasters and studios. The first aptX device was the Samsung Galaxy Tab 7.0 Plus (source). Nowadays there are hundreds of electronic brands that use aptX technology in their devices all over the world. Advanced Audio Codec (AAC) – audio coding standard for lossy audio compression. AAC was designed to be the successor of the MP3 format and it’s a part of MPEG-4 format. Apple was the first company who started to use AAC codec widely in its products (iPod and iTunes were the first in 2003). However, contrary to popular belief, this technology has never belonged to Apple and originally was developed by the consortium of Dolby Labs, Fraunhofer Institute, Bell Labs, Nokia and Sony companies. Headphones that support AAC technology provide better listening experience when playing sound from AAC sources – e.g. Apple devices, YouTube, PlayStation 3, Android, Blackberry devices and many others. Digital Signal Processing (DSP) – a digital processing that takes signals and mathematically manipulates them in various ways. DSP can improve the signal into better sound or faster transmission. HD Voice (Wideband audio)– technology that extends the frequency range of transmitted audio to the range of 0.05 – 7 kHz (vs 0.3 – 3.4 kHz range in traditional voiceband calls). The IP rating shows the level of protection that a device has. IP code covers protection against intrusion, dust and water. The first digit indicates the degree of protection against ingress of solid foreign objects (such as dust, sand or some body parts such as fingers). The second digit indicates the degree of protection against ingress of water. The letter X means that there is no data on protection rating with regard to one of the criteria, and when there is no protection – the digit 0 is used. So, for example, a device rated at IPX5 is water resistant and able to withstand water jets, but there is no assigned rating for ingress of solids. However, having X doesn’t necessarily mean lack of protection – it just means that a rating hasn’t been formally confirmed. You can learn more about IP codes and see all the ratings here. Bose Soundsport Wireless vs Jaybird X3 – What to choose?